CIMA certification is the peak international, technical portfolio construction program for investment consultants, analysts, financial advisors and wealth management professionals. CIMA certification stands out among other financial certifications for its effective emphasis on the combination of theory and practical application. In the most recentValue of CIMA Certification research study, CIMA-certified advisors reported increased confidence, competence, and compensation compared to other financial advisors. Submission of an application will result in a background check conducted by Investments & Wealth Institute staff. Within ten business days, prospective candidates will be notified of official acceptance into the program. Candidates can enroll in an education program offered by one of the approved Registered Education Providers listed below once their application is accepted. The Certification Exam is a 5 hour, computer-based examination administered at local Pearson VUE testing centers. A number of independent providers offer online and in-person study resources to help candidates prepare for the Certification Exam. Successful candidates report studying for approximately 150 hours, and using a variety of resources when preparing for the CIMA Certification Exam. Including, but not limited to, the executive education program completed through an approved registered education provider. Once Investments & Wealth Institute receives successful exam results from the testing center, candidates will receive an email to complete three final steps. Document a minimum of three years’ of verified work experience in financial services and pass a second background check.  Sign an agreement to adhere to the Investments & Wealth Institute’s Code of Professional Responsibility and the appropriate use of the certification marks. Pay an initial certification fee. Hear from your peers how the CIMA certification has impacted their careers and compare how the CIMA certification stacks up against the CPWA and other well-respected industry designations. Apply for CIMA certification now or if you have additional questions, request more information.